*Flavors vary due to stock availability! Sample kits cannot be returned for a refund. *Image is not representative of product's contents. Our amazing meal replacement shake contains a unique hunger blocking blend designed to keep you feeling full for up to 3 hours! It also packs 18 vitamins and minerals, only 110-120 calories, and it’s absolutely delicious! Looking to replace your sugary soda, coffee, or energy drink? 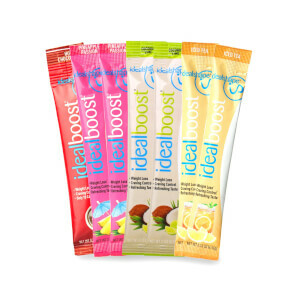 Look no further than IdealBoost! 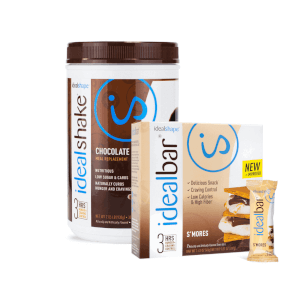 With the same hunger blocking ingredient as IdealShake plus added caffeine for a boost of energy, it’s the perfect weight loss sidekick! It can be tough to find a healthy, tasty, and convenient snack. That’s where the IdealBar comes to the rescue! 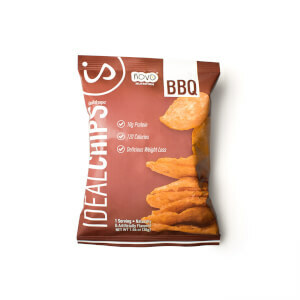 This delicious snack features 10g of protein and provides the hunger blocking benefits you know you can count on with IdealShape. 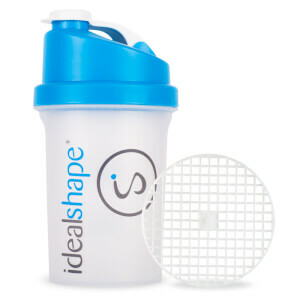 This plastic shaker bottle is perfect for mixing up your shakes and allows a convenient way to take your meal on the go! This tasty recipe book contains 51 mouthwatering ways to use IdealShake as part of a nutritious and filling meal replacement smoothie! With any lifestyle change, the first week can be the toughest. This 7-day guide eBook will help you get started off on the right foot to set yourself up for long-lasting success! Okay, so I had ordered something like this from a different company, and it was just so horrible. So nasty and chalk tasting. I then found this company. I ordered the trail pack which had 3 shakes. Strawberry, chocolate and vanilla. A shaker cup, 2 drink mixes and a snack bar. I absolutely love it! No nasty chalky or gritty taste. They actually taste amazing. Will be ordering more soon! This product was life changing for me! After 3 kids I couldn't balance a normal healthy diet and keep up! But this program has made it possible!